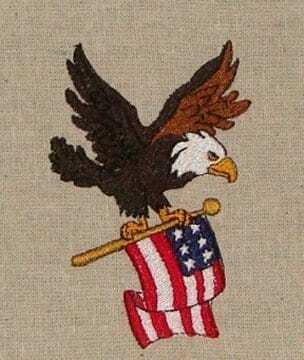 Adorable embroidery American Eagle flying with the American Flag. In addition this design is similar to PT105 but smaller and without wording. Fits the 4×4 hoop.